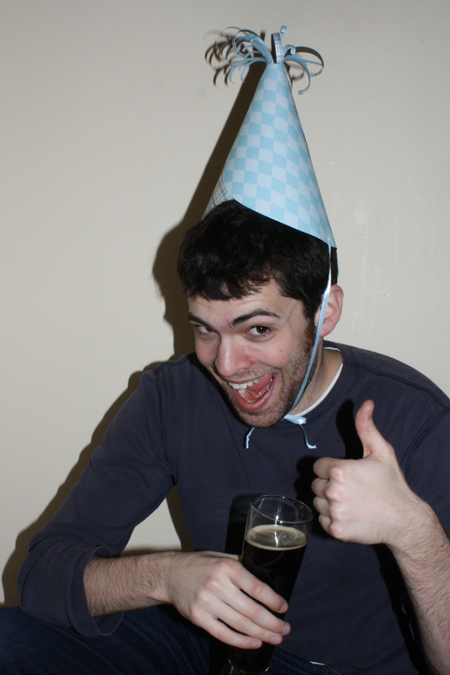 It came to my attention recently that there’s a tradition amongst Etsy sellers of making their boyfriends pose for photos in silly hats. 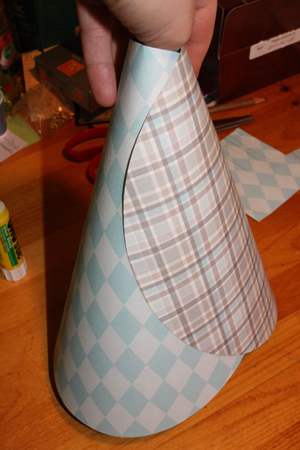 Which wasn’t actually why I chose to make paper party hats this week, but it’s a nice little bonus. March, it seems, is the beginning of birthday season. Our friend Matt had a birthday this week, as did my boyfriend’s sister. 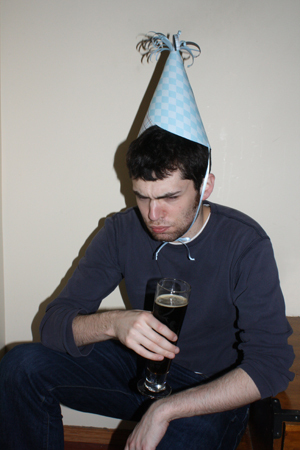 It’s my birthday this weekend, and I was recently talking to someone who claims to personally know 80 different people with March and April birthdays. I’m pretty sure that poor guy I obsessed over all through high school had a March birthday. If I bothered to check Facebook I’d probably discover dozens more. There seem to be birthdays left, right and center, six ways from Tuesday and coming out our ears. 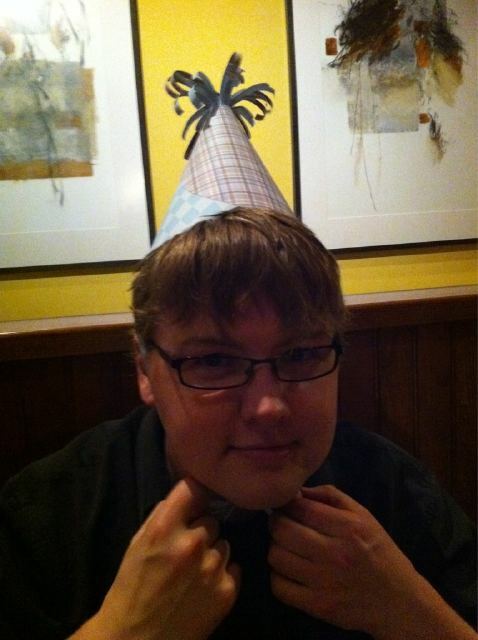 So it seems like a good time for a little tutorial on party hats. I saw a picture of these on a Martha Stewart site, and worked out my own method for making them. It’s pretty simple. And see, they fit everybody! Doesn’t Matt look festive? 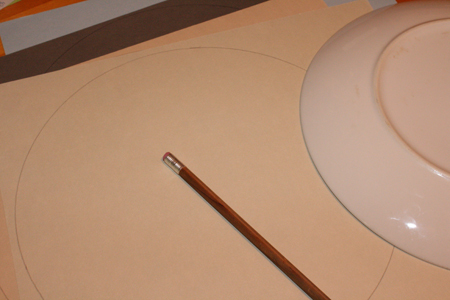 1) Trace two large circles, one on the back of each piece of paper. 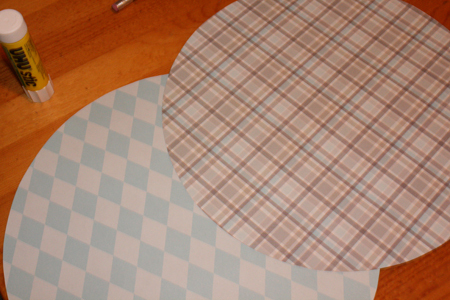 Exact size is not especially an issue: a plate should make circles big enough for the hat to work for pretty much anyone. 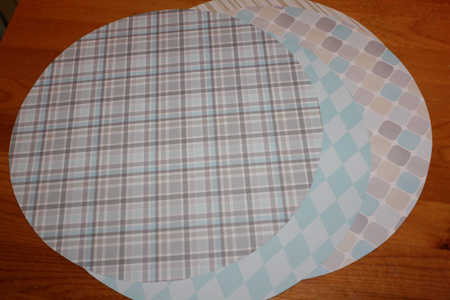 2) Cut out the circles. 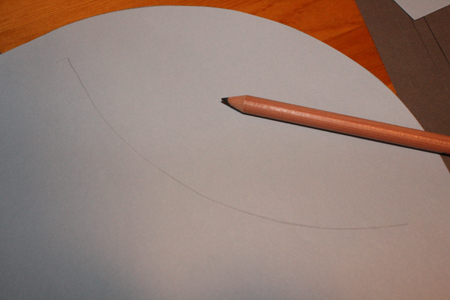 3) Overlap the two circles (exactly how much is up to you, and can vary depending on how large you want the hat’s base to be) and draw a pencil line where they overlap. 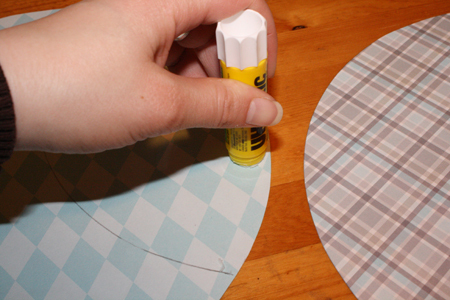 Then (using that line as a guide) glue one circle on top of the other. Let the glue dry/set. 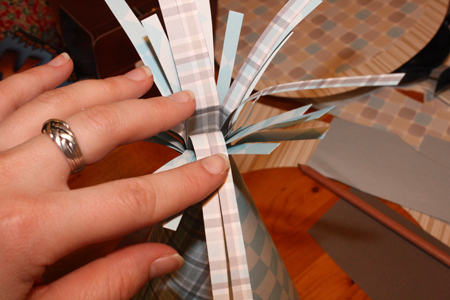 4) Curl the circles into a cylinder so the still-open sides now overlap. Adjust so that one end of the cylinder only has a small opening, and the whole thing is shaped like a cylindrical triangle. 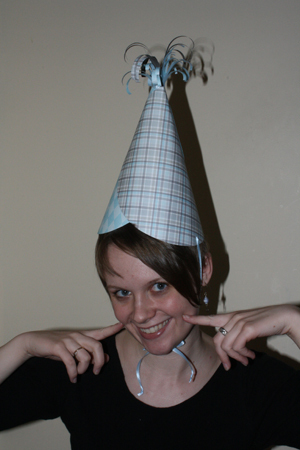 Or, well, a party hat. 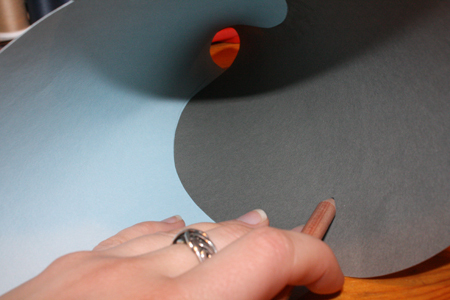 Using one hand to hold the paper in place, draw a faint line inside the hat where the inside circle ends. 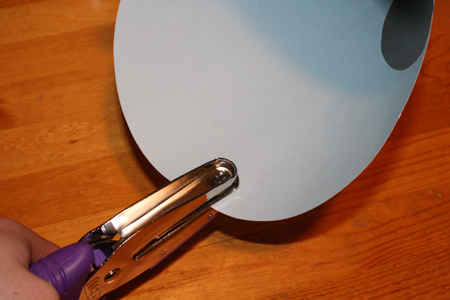 Then let go of the paper, put glue on the inside of the paper up to the line you drew, and wrap the circles together again the same way as before, again using that pencil line as a marker of where to wrap to. This time, what with the glue, they’ll stay in place.You may need to hold the hat for a couple minutes while the glue sets, of course. 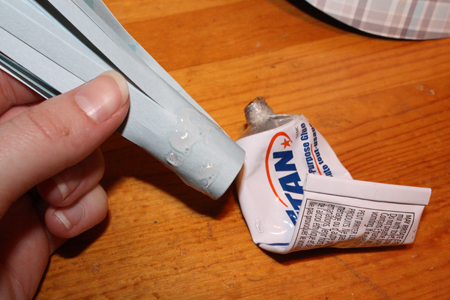 5) [optional] Dab white glue inside any edges that aren’t quite stuck down all the way, and hold in place while they dry. 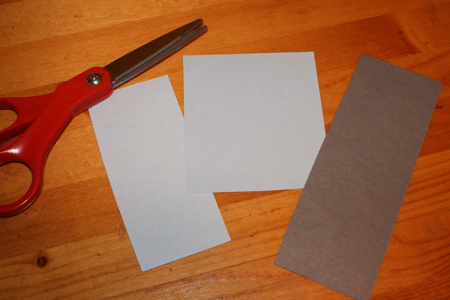 6) Take the scraps of paper left from around the circles you cut out, and cut two or three rectangles of various sizes. They should all be at least 3 or 4 inches tall, some taller. 7) Cut one end of each rectangle into strips, with the base of the rectangle still intact and holding all the strips together. 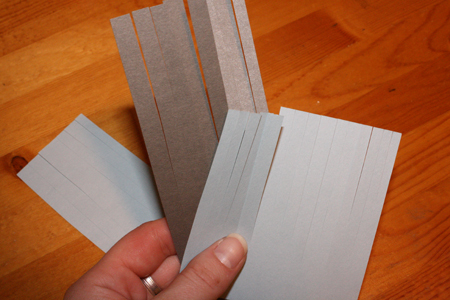 Y’know, the same way you made paper grass in elementary school. 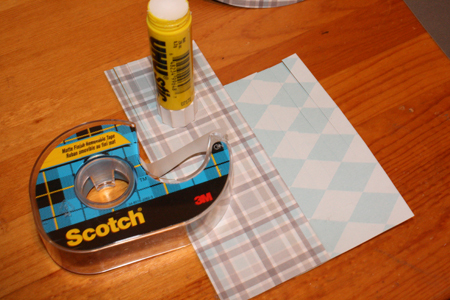 8) Glue the rectangles on top of each other. This doesn’t have to be exact. I overlapped my three rectangles, but didn’t stack them perfectly. 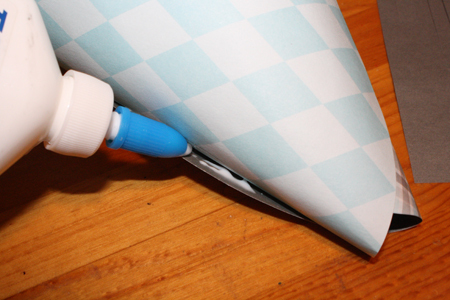 You can use some tape on the bottom, as well. 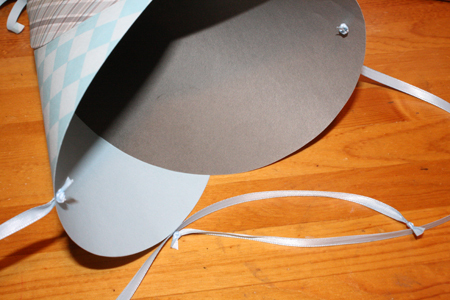 9) Roll the rectangles into a cylinder that is just a bit narrower than the hole in the top of your hat. 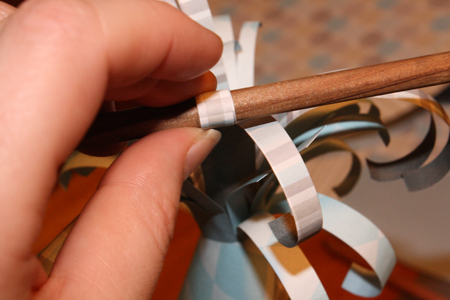 Glue and/or tape the base of the cylinder (the end that is not cut into strips) together. 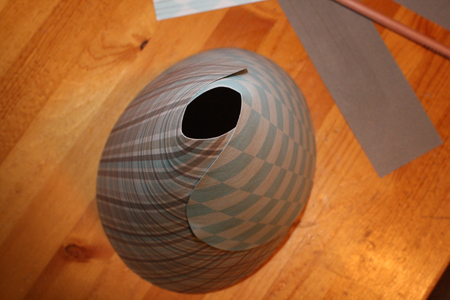 10) Insert the cylinder into the top of the hat. You can let it sit loose, tape it to the hat from the inside, or (as I did) put a bit of superglue around the base so that it will dry and stick very solidly to the edges of that hole in the top of the hat. 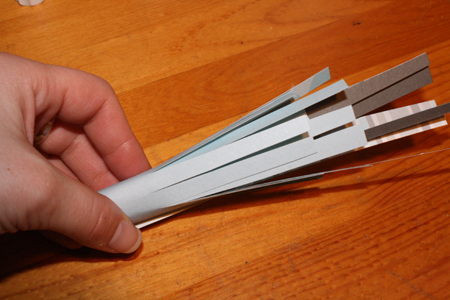 11) Press the strips down and outward, spreading them apart. Use a pencil or pen to curl each strip for an especially lovely festive look. 12) Punch a hole in either side of the hat at its base. 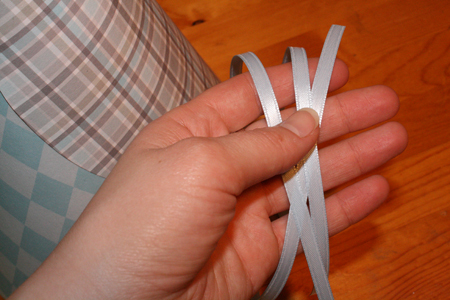 13) Cut two lengths of ribbon (each about a foot and a half long) and tie one to each hole. 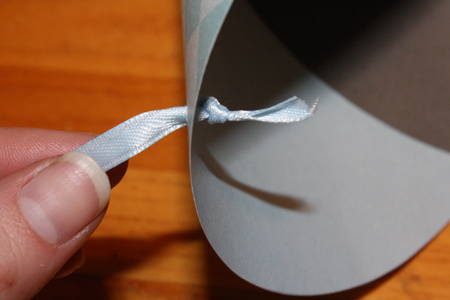 I just inserted one end of the ribbon through the hole and then tied a couple of knots in that end so it couldn’t come back out. Use this to tie the hat onto a lucky partygoer’s head. Then wish everyone (or perhaps yourself) a Happy Birthday, Happy Spring or Happy Other Seasonally Appropriate Occasion! And here’s to boyfriends in silly hats. At least he’s got a beer. Don’t know what he’s so put out about, really. I find it odd that so many crafters get their boyfriends to pose for hat photos. At least Jeremy is loving the hat or the beer I am not quite sure. 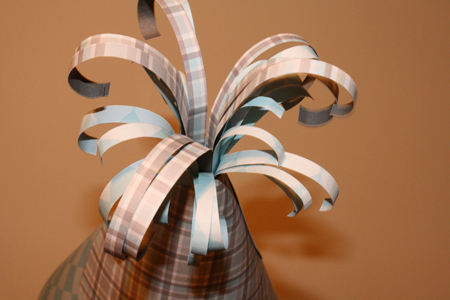 Such an awesome party hat design. Now I need to hold a party! I can’t wait to go to the craft store next week so I can make TONS of crafts. My friends and I are ganna have a craft party.